The holiday season is filled with family, friends, celebrations, and good food. Unfortunately, it can also be filled with a packed to-do list and crazy schedules, leaving home security as a last in your mind. With instances of burglaries increasing nationally during the month of December (interesting CNN article here) there are some thoughtful things you can do to make your home less of a target for criminals. First, don’t announce your travel plans on social media. Even if you think that your security settings will protect you, crooks can potentially still find your feed and know the best time to target your home. Be careful about announcing when you will be away, and wait until you get home to post pictures of your celebrations on social media. Next, ask your neighbors to keep an eye on your home. Not only can they look out for intruders, but they can accept deliveries while you are away and remove any newspapers or fliers that are delivered. Take a moment to stop your mail and newspaper deliveries. Nothing alerts crooks to an empty home more quickly than a pile of outdated newspapers piled on the driveway! You can stop your mail delivery here, and stop your newspaper delivery with your local newspaper company. 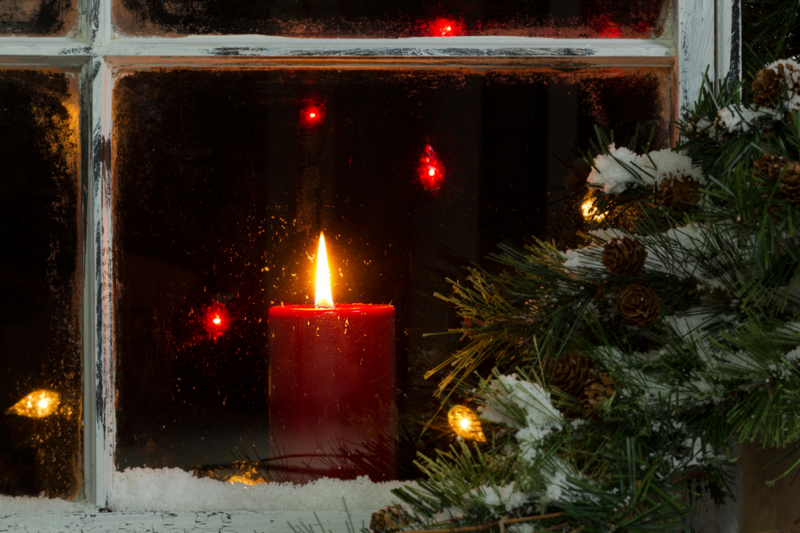 By leaving lights on inside, you can make your home appear lived in. Even better, put the lights on timer plugs and leave a TV or radio on as well. Don’t, however, leave your Christmas tree on a timer while you are away! According to the U.S. Fire Administration, December is the deadliest month for electrical fires, so it’s best to keep it unplugged while you are gone for an extended period of time. Don’t tempt crooks with your goods. Posting social media pictures of your gifts, or leaving tell-tale packaging in your outdoor trash can announce what you have inside and be tempting information for a burglar. Break down boxes and use a black trash bag to keep trash concealed. While you may be tempted to show off your beautiful tree in your front window, the gifts tucked under the tree can be tempting to crooks. If your tree must be displayed in the front window, at least hide all gifts! And remember, if crooks can see in your window to see the tree, they probably see other items in your home too! Consider a keyless entry system for your front door (like these from Lowe’s Home Improvement). Not only is a keyless entry system more secure than a traditional lock, it eliminates the need for a key hidden in an emergency location or left with a neighbor. It is unfortunate that at this warm and peaceful time of year we have to consider crime. 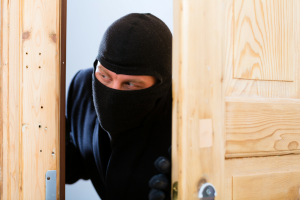 Luckily, with a few changes in your habits and some pre-planning, you can make your home less temping to crooks!